AT&T will return for the fourth time to the CMA Music Festival, this year as title sponsor of Fan Fair X. The technology company will also install special network equipment in and around the Music City Center, Lower Broadway, Bridgestone Arena, and LP Field for better connectivity to its network. The AT&T U-Verse Fan Fair X will offer 353,000 square feet of artist booths, a marketplace, interactive experiences, lifestyle exhibits, activities for children, an auction, and three stages (outlined below) for activities Thursday through Sunday, June 11-14 (10:00 a.m.-5:00 p.m.). Venue doors open at 9:00 a.m. Friday through Sunday, June 12-14; 8:30 a.m. Thursday, June 11. Each morning, a different Artist of the Day is planned to take to the CMA Close Up Stage (outlined below). They will autograph an item that will be immediately auctioned from the stage to benefit the CMA Foundation. 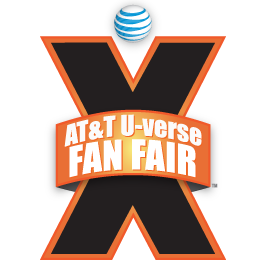 AT&T U-verse Fan Fair X is free to all CMA Music Festival LP Field ticket holders. Individual tickets are $10 per day. Cost is $25 for a four-day pass, or $35 for a four-day pass including one general admission into the Country Music Hall of Fame and Museum for 2015 is available at CMAfest.com. The latter is available at countrymusichalloffame.org/cmafest2015. Thursday (June 11) – Little Big Town, ribbon cutting at 9:15 a.m. and Q&A at 10:15 a.m.